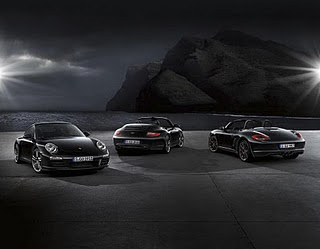 Porsche Club of America reflects on the top articles accessed in 2011, here are 3 of my favorite of the top 10 Porsche articles of 2011. 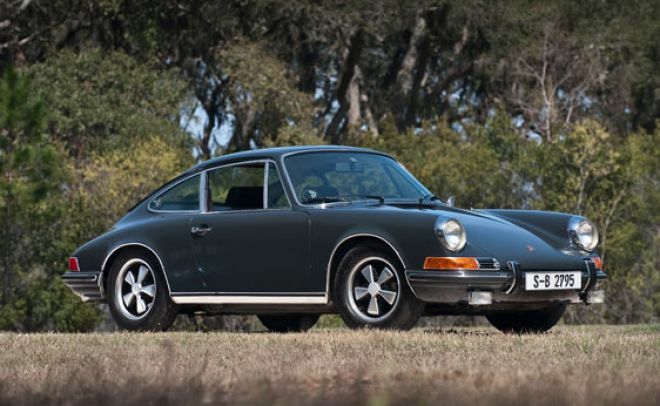 A Porsche once owned by the "King of Cool," Steve McQueen, is being sold at auction this summer. The 1970 911 S is itself a veteran of the silver screen, having been featured in the opening sequence of McQueen's epic tribute to his love of automobiles and motorsports, "Le Mans." It was used as the actor's personal car during the filming of the movie in France while he was living in a rented 30-room 15th century chateau. The car is mentioned in book, Steve McQueen: The Life and Legend of a Hollywood Icon, in a passage where the star takes a Hollywood executive visiting the set on a 100 mph ride through the French countryside. Stuttgart. The Porsche Boxster model line has a new luxurious top model in addition to the sporty Boxster Spyder: The Boxster S Black Edition limited to 987 cars. With its 320 hp – ten hp more than the Boxster S – this edition offers a substantially larger range of standard equipment and exclusive special options, all at a very attractive price. The new mid-engined sports car is black all over: Black body, black hood, and black 19 inch Boxster Spyder wheels accentuate the muscular appearance of the top roadster. 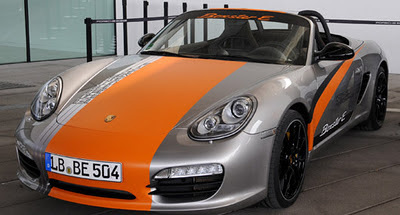 The Boxster S Black Edition will be launched in March 2011, and in Germany is priced at 63,404 euro including VAT and country-specific equipment. While Porsche works on fine-tuning its electric engine, the company is also continuing to expand its hybrid vehicle lineup. The Porsche Panamera S Hybrid will be available at dealerships later this year. The four-door hybrid vehicle is also quick, with a 0 to 60 mph time of 5.7 seconds and a top speed of 167 mph. This is obviously a hybrid vehicle designed for the typical Porsche driver. Porsche is awaiting the official EPA fuel efficiency estimates for the Panamera S Hybrid but the vehicle has achieved 7.1 L/100 km (approximately 33 mpg) fuel efficiency in European testing.